Collaborations are the popular thing in Nashville these days as Brad Paisley and Carrie Underwood’s “Remind Me” knocks Zac Brown Band and Jimmy Buffett’s “Knee Deep” out of the top spot. Also on the charts this week, we have a bunch of songs making giant leaps as Blake Shelton, Toby Keith and Billy Currington all take their songs up six notches. Entering the countdown at #25, in my opinion, is one the more underrated voices in country today as Steve Holy debuts with “Love Don’t Run”. 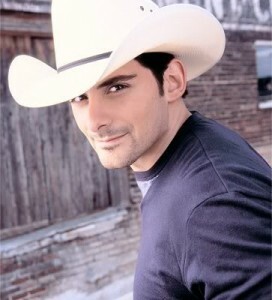 Brad Paisley is back at the top of the top of the country singles charts. This time he’s joined by country queen Carrie Underwood. The song is great and the two seem to work well together. Stay tuned for a new album from Carrie later this fall.